How Can a Cosmetic Dentist Improve Your Smile - and Will Insurance Cover It? How Can a Cosmetic Dentist Improve Your Smile – and Will Insurance Cover It? If you’ve spent years disliking your smile, you know how much it affects both your personal and professional life. Feeling good about your appearance is a big part of your self-confidence, and an attractive smile is one of the most important features you can have. The good news is that enhancing it is easier than you might think. 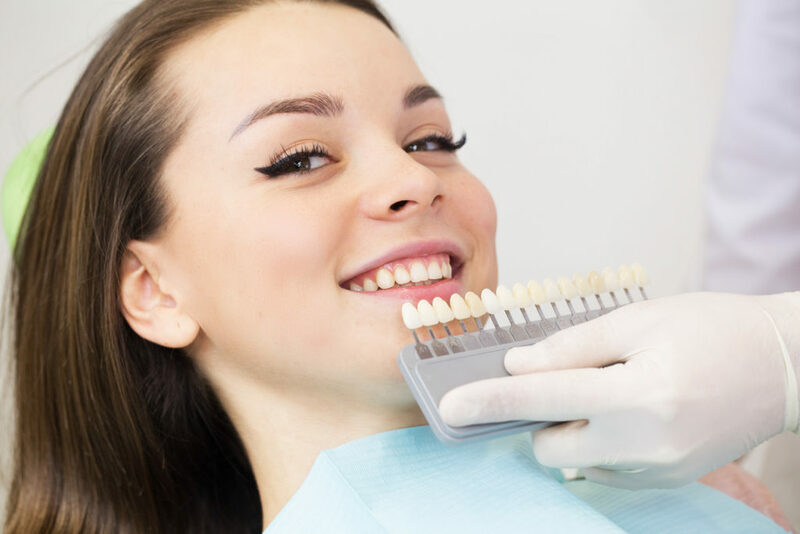 Keep reading to find out which procedures a cosmetic dentist can do (often in just 1-2 visits) and whether dental insurance will cover them. You’ll be one step closer to a smile you can feel proud of! Whitening is often one of the first cosmetic treatments that people are interested in, and it’s easy to understand why. Take-home – Take-home whitening is great if you want to whiten more gradually. You simply wear custom-made trays that contain professional-strength whitening gel for 30-60 minutes a day. Most people get their final results in 10-14 days. In-office – With this option, you’ll get fast, dramatic results in about one hour – perfect for anyone who wants their new smile immediately. Porcelain veneers and Lumineers are a great way to completely mask a variety of cosmetic flaws. Also called cosmetic bonding, this procedure uses the same white filling material that’s used to repair cavities on the back teeth. It’s perfect for fixing minor imperfections on the front teeth like chips, cracks, small cavities, and discolorations. Uneven gums – In some cases, it looks like your teeth are uneven, but it’s actually your gums. By reshaping the gum tissue, the teeth appear much more uniform. A “gummy smile” – If your teeth look short or small, gum recontouring will lengthen them to give you a beautiful, well-proportioned smile. Will Insurance Cover Cosmetic Procedures? This depends on several factors, so the best way to find out is to schedule a consultation with a dentist in Tyler. They’ll not only evaluate your dental history and oral health to create the best treatment plan, but they’ll also help you understand your specific insurance benefits. For example, if you have an issue that affects your dental health and the appearance of your smile at the same time, you may get insurance coverage. Examples include a cavity, cracked tooth, or a chipped filling, crown, or veneer. Once you know which procedures are right for you, you’ll get a better idea of what kind of insurance coverage you’ll have and can proceed from there! Dr. Dennis E. Stansbury is a general, restorative and cosmetic dentist in Tyler with over 4 decades of experience. He begins each consultation by asking about his patients’ goals and works with them from start to finish to make sure they get the cosmetic results they’re after. If you’d like to enhance your smile and have any other questions, he can be reached via his website. Comments Off on How Can a Cosmetic Dentist Improve Your Smile – and Will Insurance Cover It?